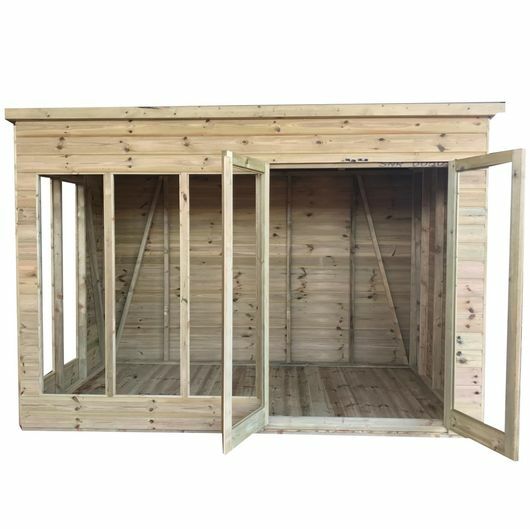 The Atlas Tanalised Studio is a great addition to any garden. The beautifully designed structure features full glass doors and extra glass panels to the font and end. The contemporary pent roof style lends itself nicely to use as an arts or craft studio, home office or garden bar. 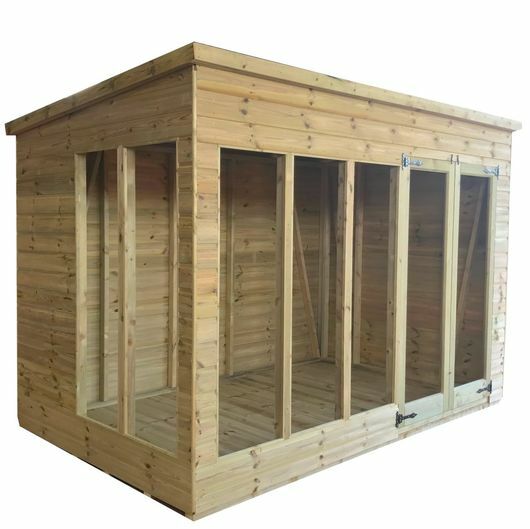 The Tanalised Super Strong braced framing and tongue and groove shiplap cladding ensure a solid, robust, low maintenance building. Can this be customised? Such as double doors on the side? Yes it can, all our sheds are manufactured by us so there are a number of door configurations. Give us a call and we will be glad to help.